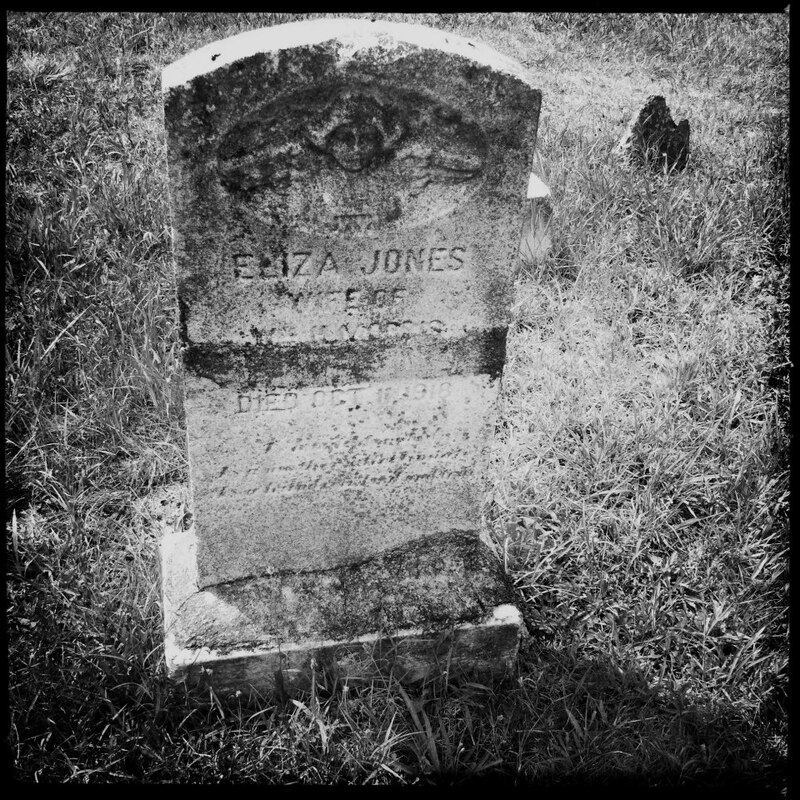 Eliza Jones Morris’ grave marker still stands in Lynchburg’s Old City Cemetery, although over the decades it has seen its share of wear and tear. It appears as though it has been repaired in several places and the tablet had possibly cracked all the way through the middle at some point, which would have resulted in part of the marker spending some time on the ground. Eliza was born in 1868, a daughter of Austin and Mollie Jones. Looking at census and Old City Cemetery’s burial records gives us some background information on this individual. Sometimes records conflict and it’s difficult to determine which one is more accurate. The burial records give a birth year of 1866, but the census lists Eliza as being born in 1868. According to the 1900 census, Eliza and her husband, William Henry Morris, were living with Eliza’s parents at 1301 Taylor Street along with two of her brothers and three of her sisters. The age range of Eliza’s siblings in the house then was from 10 to 25. Austin was a shoemaker and Eliza’s husband, who went by the name of Henry, was a day laborer. Everyone listed in the residence was classified as “black” and we’ll see another example of how census records can have discrepancies soon. By the time the 1910 census was taken, only Henry, Eliza, and an adopted daughter, Emma Morris (18), were living together at 1311 Taylor Street. All of them were classified as “mulatto” (mixed) instead of African-American. This was most likely due to an error on the census worker’s part. No other records indicate that Eliza was of mixed heritage. What’s also puzzling is that on the census report for the same year at 1404 Polk Street, Henry, Eliza, and Emma are shown in the household with Austin, Mollie, and Eliza’s siblings. Could they have accidentally been double-counted? Eliza died on October 11, 1918 of lobar pneumonia at her residence, 1311 Taylor Street in Lynchburg. Henry died in 1923 from the same illness at a house on Floyd Street. I was unable to find out what became of Emma or how she came to be adopted. 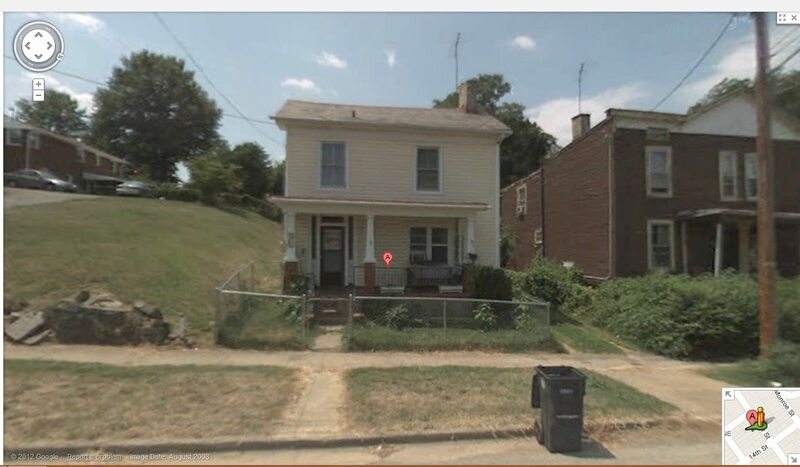 I was able to get a street-view of the house at 1311 Taylor Street where the family lived and where Eliza passed away. Of course, it probably looked much different then.